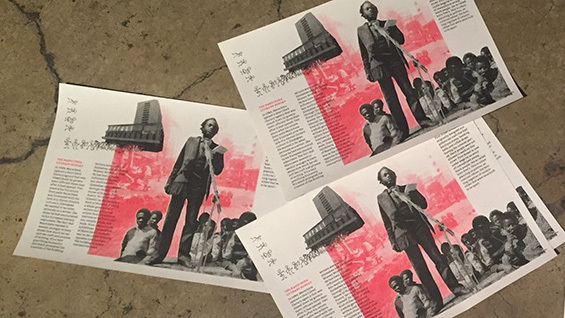 As part of the Intra-Disciplinary Seminar, a free, public lecture series, Tinashe Mushakavanhu contemplates the absence of history in Zimbabwe, and how the country's creative writers have filled in the gaps. He will chart the emergence of Zimbabwe's independence, and scrutinize the legacy of the country's colonial past. Colonialism is not an event only encapsulated in the past, but it is a history whose repercussions and traumatic consequences are still actively evolving today. This lecture interrogates the representation of Zimbabwean history through the twin matrices of memory and erasure. Born and raised in Harare, Zimbabwe, Tinashe Mushakavanhu received a first class honors in English from Midlands State University (Zimbabwe), MA in Creative Writing from Trinity College, Carmarthen (Wales) and a PhD in English from University of Kent (England). He has co-edited State of the Nation: Contemporary Zimbabwean Poetry (2009) and Visa Stories: Experiences Between Law and Migration (2013). He is lead co-researcher of ReadingZimbabwe.com, a digital archive of Zimbabwe’s published history of the past 60 years. In recent years, he has worked at the intersection between media and technology winning fellowships in the US, including a New INC fellowship at the New Museum, an innovation residency at VICE Media and being named as a 2016 CNN Diversity Fellow. He was the first editor in charge of online and digital media at The Financial Gazette, Zimbabwe’s oldest private newspaper and has been a long time literary columnist for The Standard. He is the 2018 Andrew W. Mellon Writer in Residence at Rhodes University, South Africa. This event is part of the Spring 2018 IDS Lecture Series at The Cooper Union, organized by Leslie Hewitt and Omar Berrada. The IDS Public Lecture Series is part of the Robert Lehman Visiting Artist Program at The Cooper Union. We are grateful for major funding and support from the Robert Lehman Foundation for the series. The IDS Public Lecture Series is also made possible by the New York State Council on the Arts with the support of Governor Andrew M. Cuomo and the New York State Legislature. Photo of Tinashe Mushakavanhu by Dominique Sindayiganza.